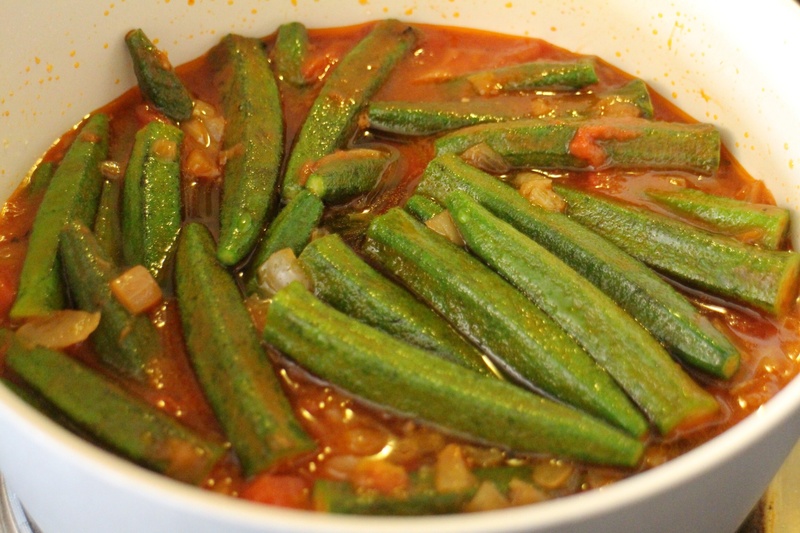 I’ve been absent for a little while, but am glad to be back with this traditional Cypriot family recipe. 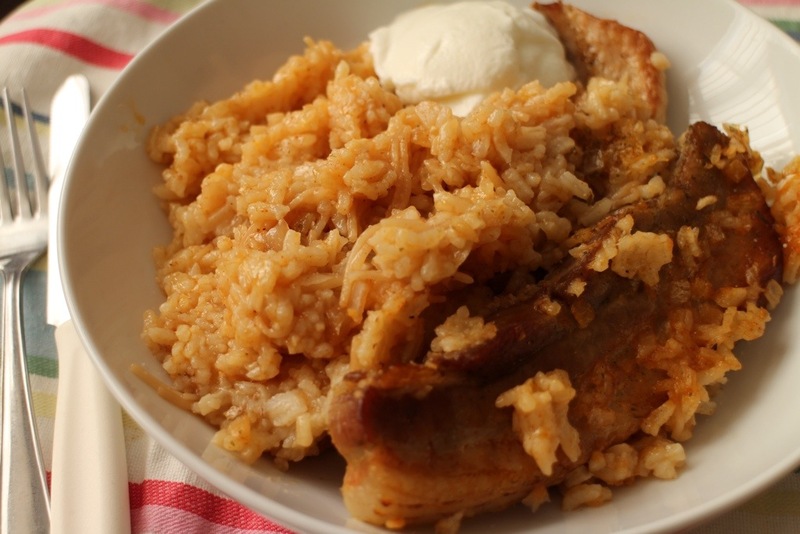 Rice Pilafi with pork belly is ideal for a simple, delicious midweek meal. And all done in one pan, in under an hour. 1. Place the pork belly slices, in a single layer, in a large oven pan. 2. Sprinkle with the garlic oil. 3. Bake for 30 mins at 180deg. C until lightly browned. 4. Add the chopped onion, vermicelli noodles, rice, tomatoes, cinnamon, salt and pepper and about 5 cups of boiling water. 6. Bake for an additional 30-40 mins until the belly slices are nicely browned, the water has evaporated and the rice grains are cooked and tender. 7. 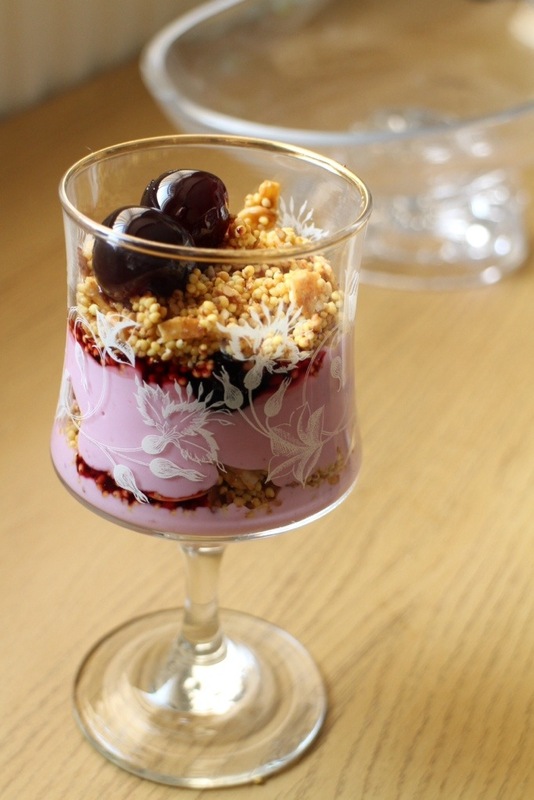 Serve with Greek yoghurt. And maybe a fresh Greek salad. I don’t know about you, dear reader, but dare I presume that being as you’re perusing my little blog, you and I share a love of food? Perhaps you are like me, flitting from one food obsession to another. In love with one ingredient yesterday (Lotus biscuit spread, anyone?) and another today. 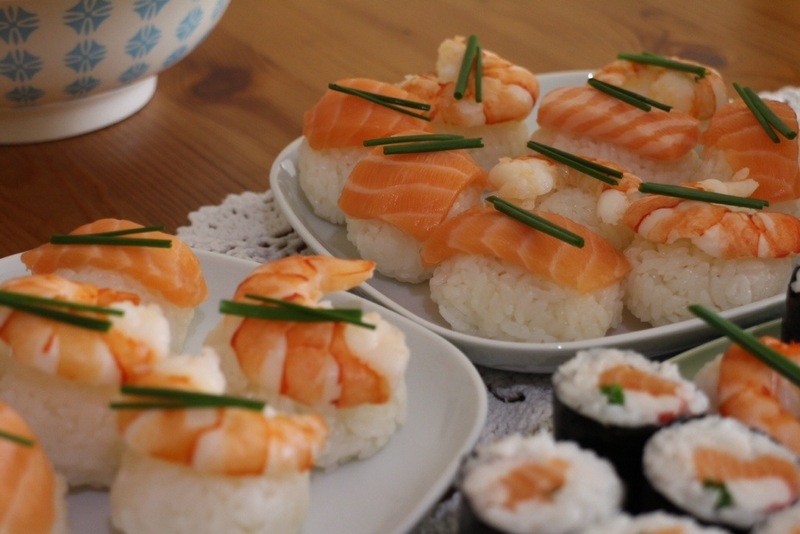 Sushi has been on my brain, on my brain I tell you!! And just will not go away. Now, we like going to ‘Yo! Sushi’, we really do, but we come away (two of us) yes, satisfied, not over-stuffed, but noticeably lighter in pocket. Very noticeably. So, I decided to try making my own. I read from books, heard from friends, perused YouTube and Googled for all I’m worth. It didn’t look too difficult. In fact the being difficulty seemed to be finding out what ‘Sushi Grade’ fish actually is. From what I’ve gathered, it’s fresh fish which has been commercially frozen for a period of time and at certain temperatures which renders it fit to be eaten raw. Any bugs or parasites present on or in the fish are killed. So, the fish needs to have been pre-frozen. These were my choice, but you could just as easily use smoked salmon, cooked tuna, hot smoked trout, in fact any seafood which takes your fancy! Of course, if you’re going to be using anything raw, then speak to a knowledgable fishmonger first. Also, I didn’t have a traditional bamboo mat to help with the rolling, but I used a clean tea-towel to help me roll and this seemed to work just fine. I must admit I preferred the seaweedless sushi; the Nigiri (rectangular) and the balls. The Nori was kind of chewy. Google suggested that it need toasting, or was stale, but as it came out of a sealed pack which included one of those little moisture-removing little sachets I don’t think it could have been stale. And surely, if it needed toasting, wouldn’t the pack directions state this? 3 American cups (250ml each) of water. 1. 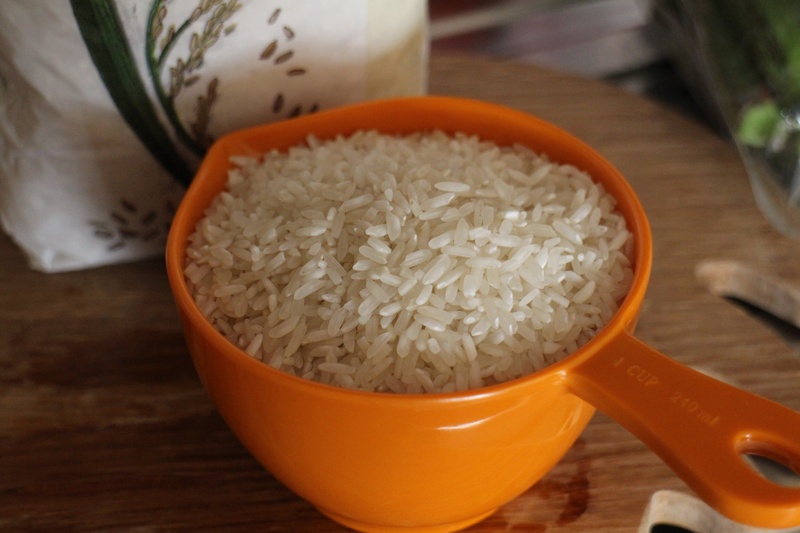 Place the rice in a sieve and rinse under running water, for 3-4 minutes until the water runs clear. 2. Place the rice and water in a pan with a lid on and leave for 30 mins. 3. 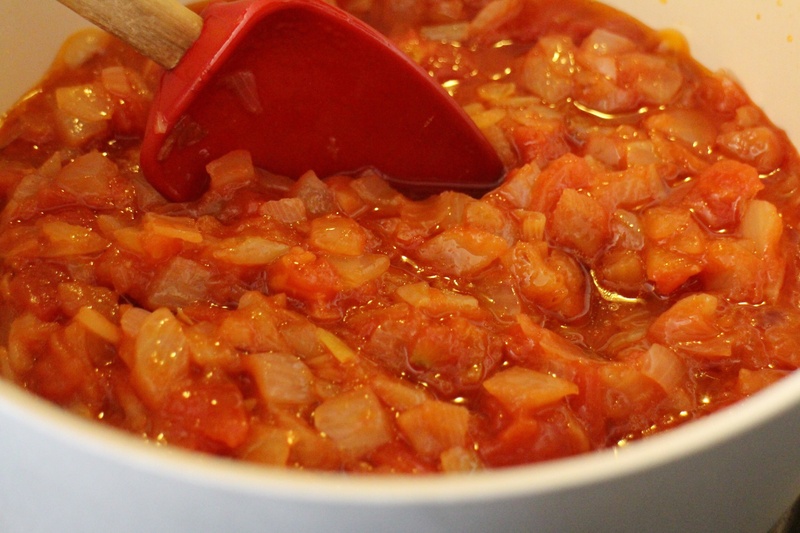 Place on a high heat, when it boils, turn the heat to low, simmer for 9 minutes. Then, turn the heat off and leave undisturbed for 15 minutes. 4. 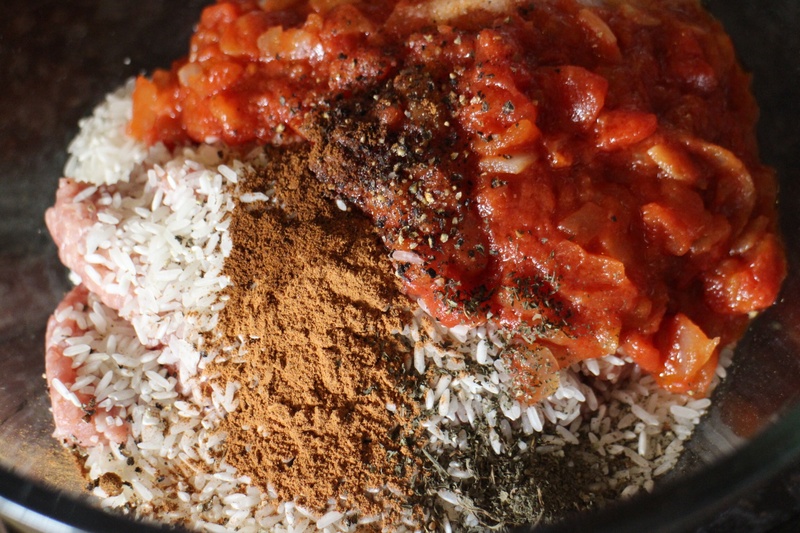 Place the cooked rice in a large baking pan, so that it has room to cool down quickly, add the rice vinegar, salt and sugar mixture which you have previously simmered together until the salt and sugar have dissolved. Stir well through the rice. 6. Place the nori sheet, shiny side away from you, on a clean tea-towel or on a bamboo mat covered in cling film. Place enough rice on the nori sheet to cover the half of it nearest to you. Not too much, as otherwise it will be too difficult to roll. 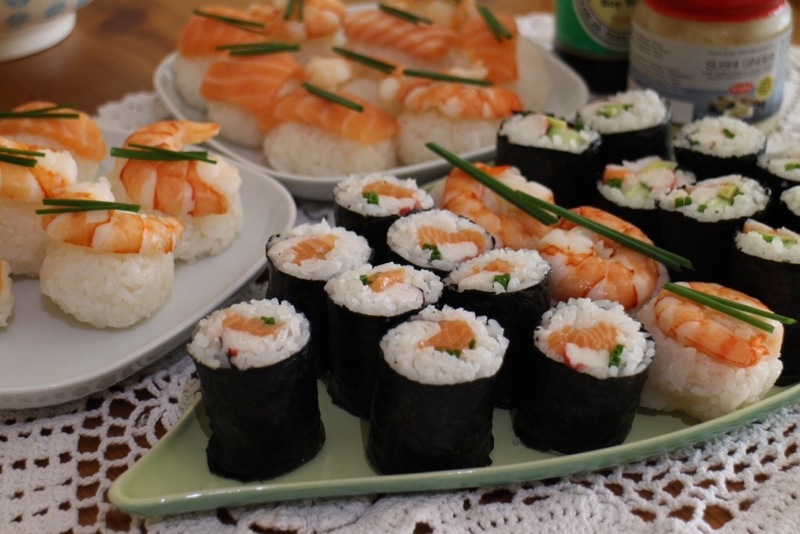 Place your filling of choice on, try to vary the filling on different rolls. 8. 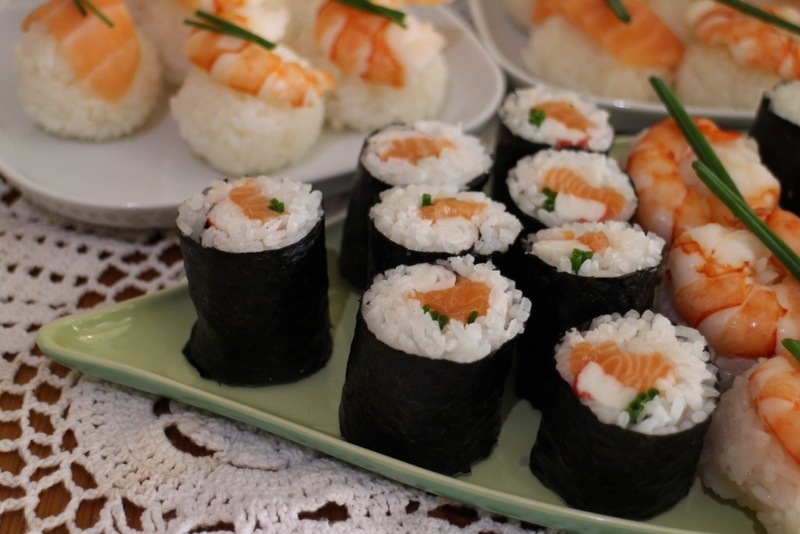 Roll the Nori tightly into a cylindrical shape. If you find the end of the Nori doesn’t stick, dampen it with water. 9. Cut each roll into 4, using a very sharp knife. 10. 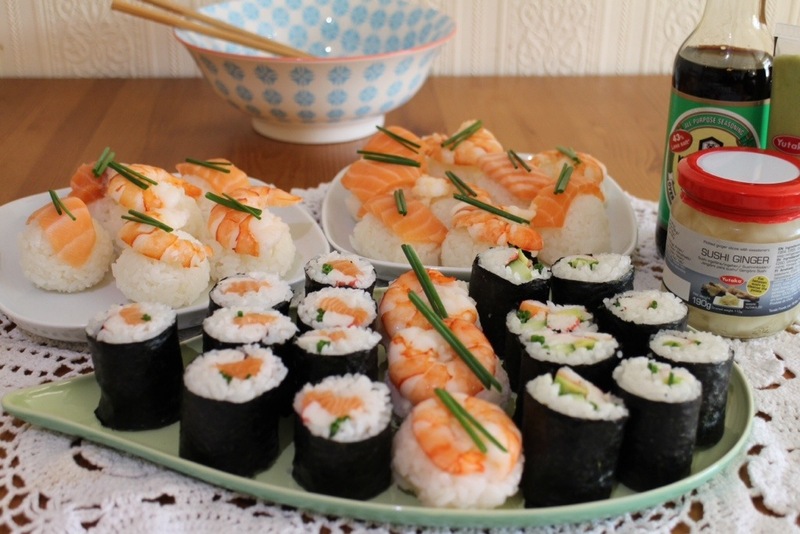 For the Nigiri- dampen your hands again, form rectangular shapes and top with seafood of choice, perhaps with a little cucumber, chives or avocado for decoration. 11. 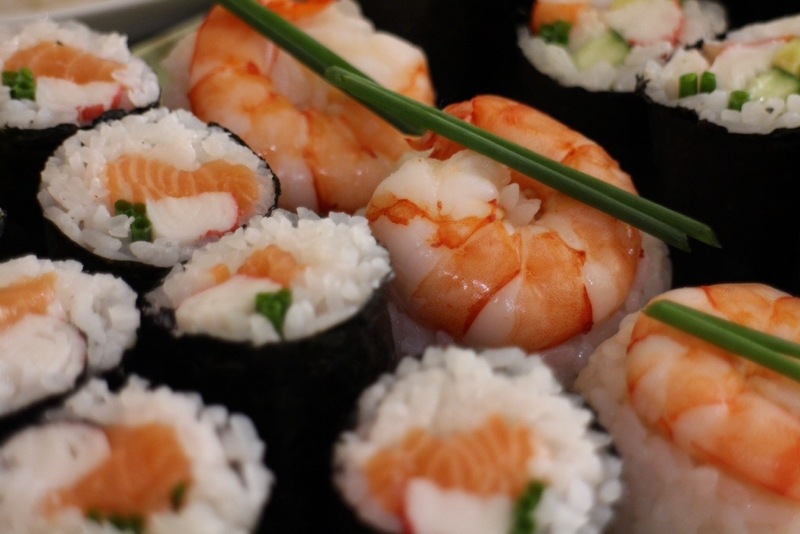 For the balls, place the salmon or prawn on a square of cling film, place a ball of rice on top (the size of a walnut) and squeeze the cling film into a ball shape. Leave for a few seconds and take out of the cling film. 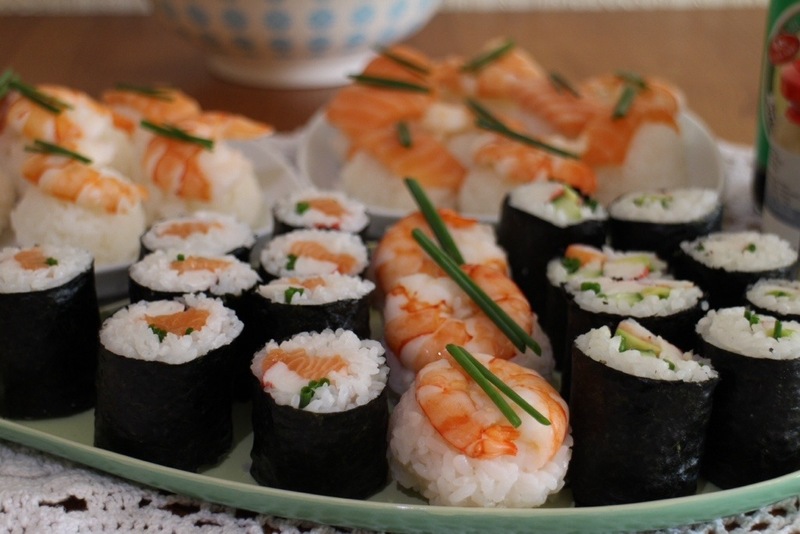 Serve with Soy sauce, pickled ginger and Wasabi. You know the drill. 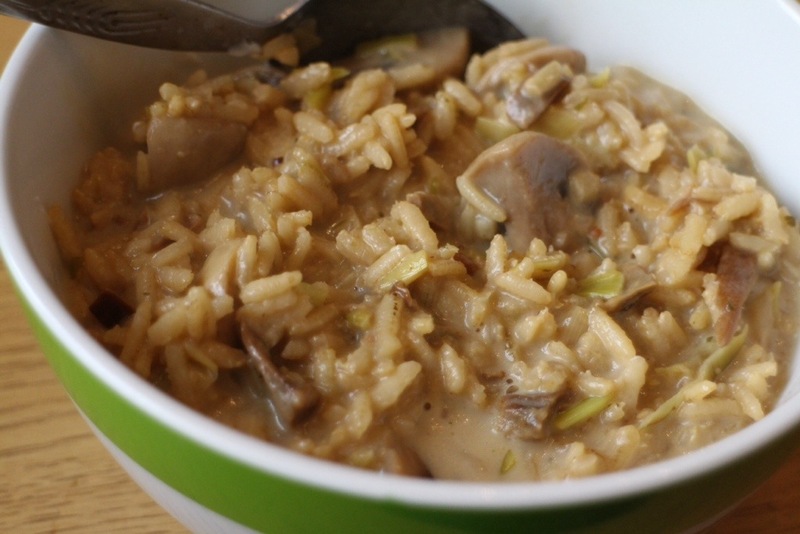 Quick & Easy Marmite Mushroom ‘Risotto’. Look, I know I’m completely obsessed about risotto and making it an ‘easier’ job in any way that I can; it’s not that I mind the stirring, in fact it can be a relaxing ritual – time to think of the day’s events, a slowing down of the brain into an evening frame of mind, it can even be enjoyable! 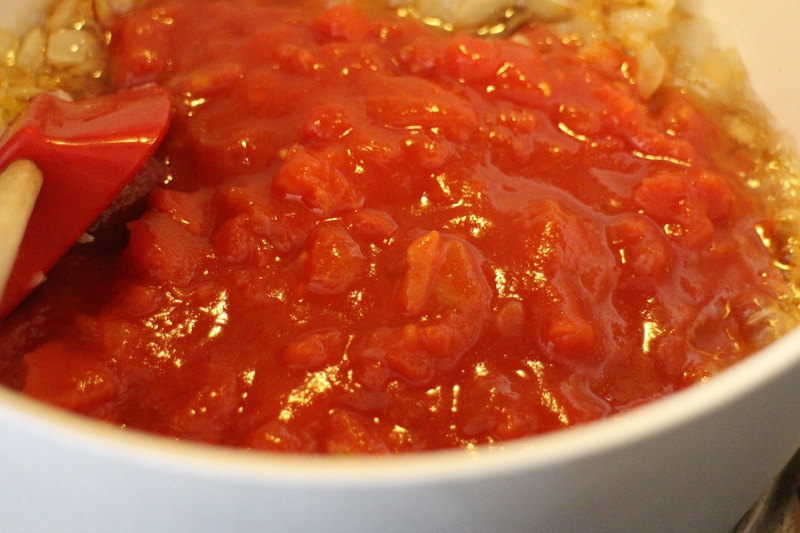 But there are times I don’t want that, hurried times where my tummy’s rumbling and I really, really fancy a huge bowl of restorative risotto – quick. This recipe fits the bill perfectly; it’s quick, easy, deeply umami-rich and savoury. 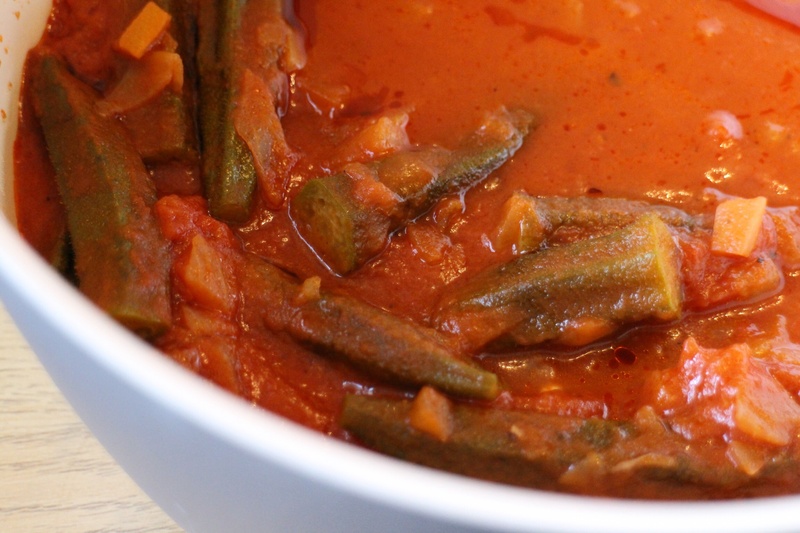 A real kick-in-the-teeth taste wise, but still manages to also be creamy and comforting. 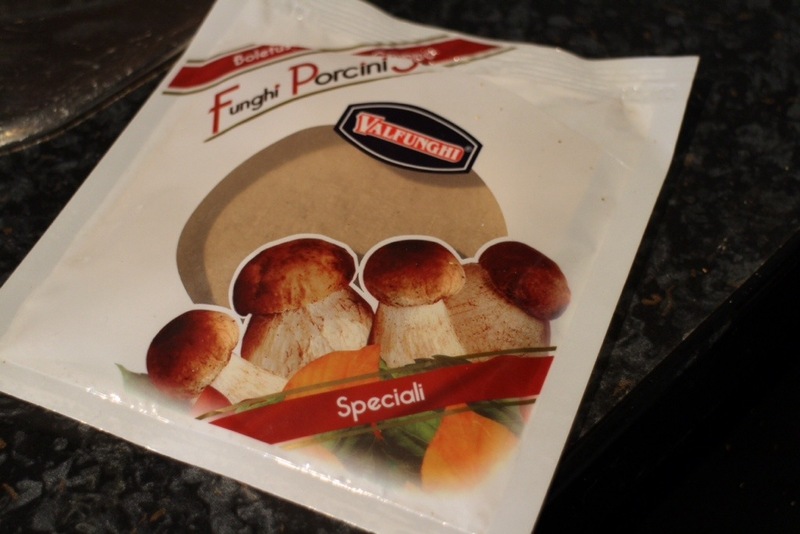 Dried Porcini mushrooms, 20g pack. 1. Heat the 2tbsp. 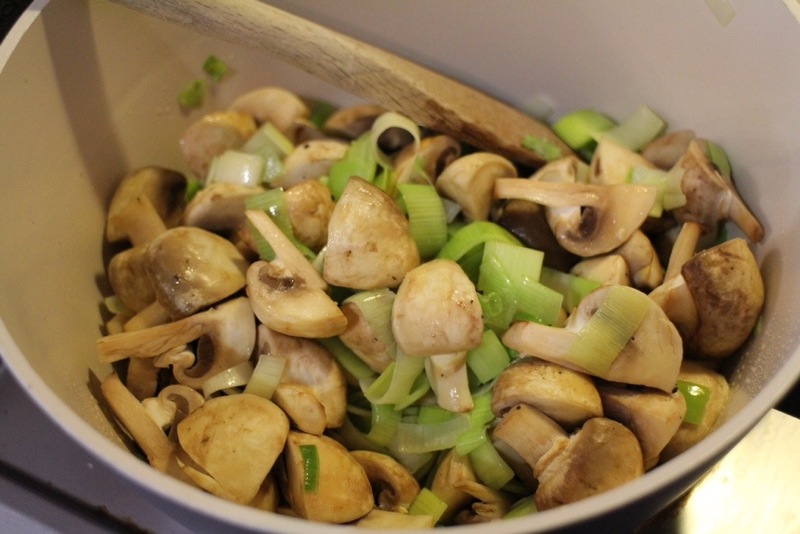 Butter in a pan, add the mushrooms and leek and stir for a few minutes until softened. 2. 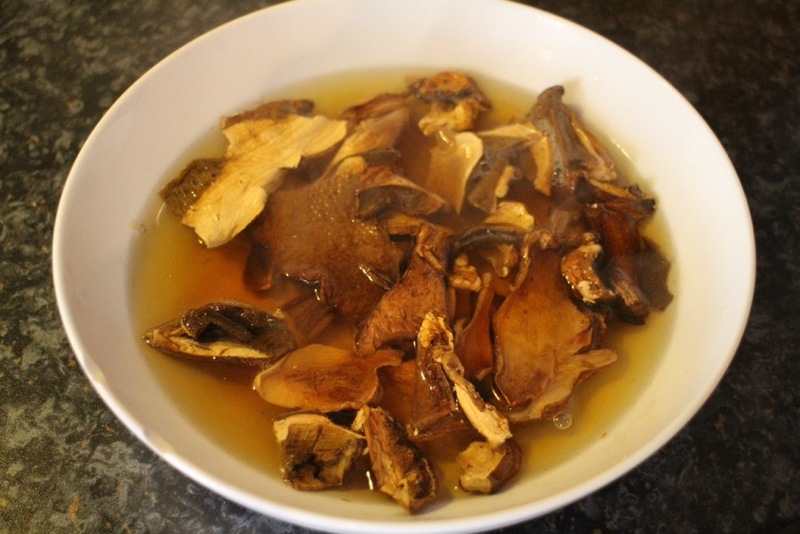 While the mushrooms and leek are cooking, empty the dried Porcini into a bowl, pour over the Marsala and about a cupful of boiling water, leave to soften. 3. 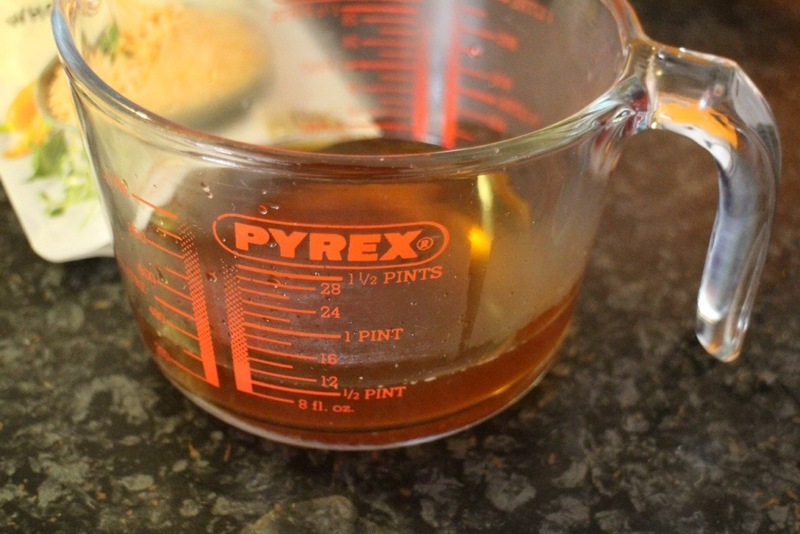 After a few minutes, when the Porcini have softened, pour off the liquid (through a tea strainer, to collect any grit) into a measuring jug. Chop the Porcini finely and add to the pan. 4. 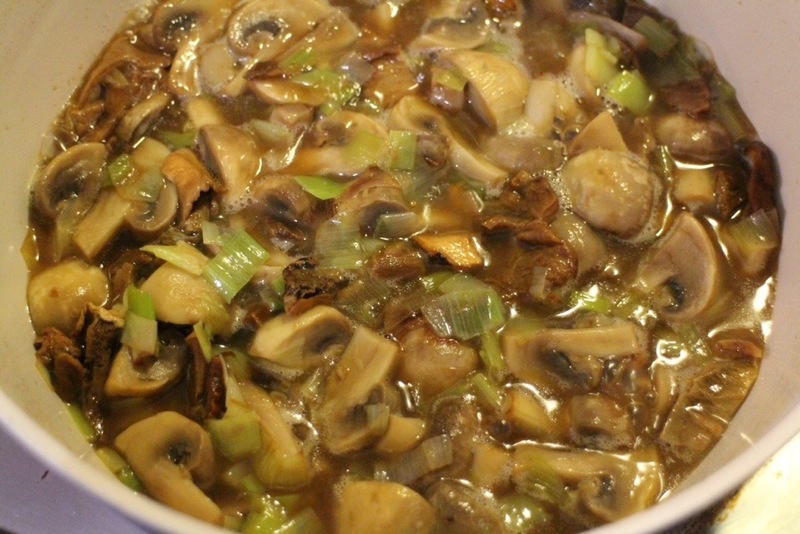 Make up the Porcini liquid to 1 pint, add the stock cube to it (if using) and pour onto the mushroom and leek mixture. 5. Let it bubble away for a few minutes for the strong smell of alcohol to evaporate. Add the rice, enough water to give a ‘risotto’ consistency, and keep it bubbling away for a few minutes for the rice to heat through well. 6. Stir in the cream cheese; this turns it beautifully creamy and comforting – we’re almost there! 7. Take it off the heat and stir in the ‘Star of the Show’ marmite and butter ‘mantecatura’. Mmmmmmm 🙂 Quick, easy supper. And no trouble at all. 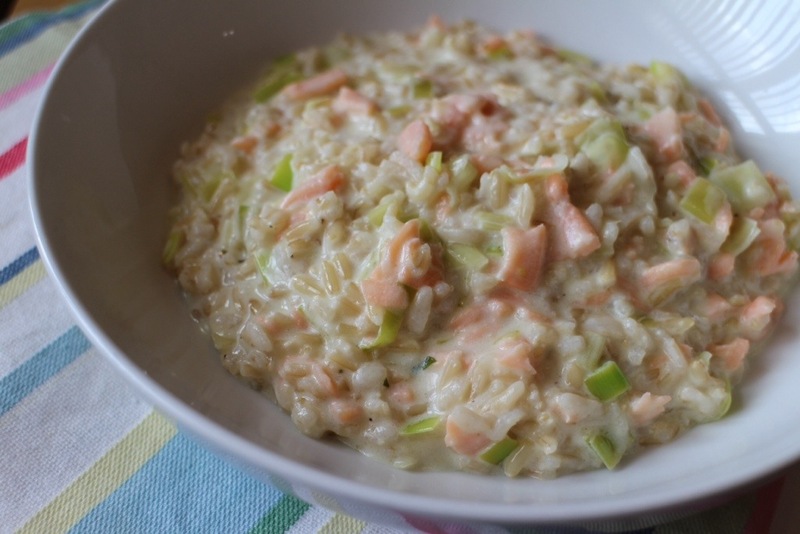 Quick smoked salmon & cream cheese brown rice risotto. I feel I ought to tell you from the off, that this risotto is based on a pouch of ready cooked rice. Tilda to be precise. I hope you’re still with me dear readers. Ditto the wholegrain rice, smoked salmon and cream cheese. But I wanted lunch quick. And we all know that brown rice takes an absolute age to cook, right? 1. Fry 1 small leek, chopped in a small knob of butter until softened. 2. Add 100 ml of white wine and stir for about a minute, until the strong alcohol smell evaporates. 3. Add the 250g pouch of wholegrain rice and stir for a couple of minutes until the rice has heated through. 4. Add 200 ml of water, 1 chicken stock cube and freshly ground black pepper. 5. Stir around for another few minutes until the rice takes on the wet risotto appearance. 6. Take it off the heat and thoroughly stir in 100g of cream cheese and 120g of smoked salmon which you have sliced into ribbons. 7. Leave it for a minute or two to settle down, adjusting the consistency with a little more water if need be. Creamy, comforting and delicious, the cream cheese lending the dish an authentic creaminess. And ready in just a few minutes! I’ve been trying lately to increase the amount of wholegrains in my daily diet. So, it’s best, in my life instead, to cut out ‘bad’ refined carbs. 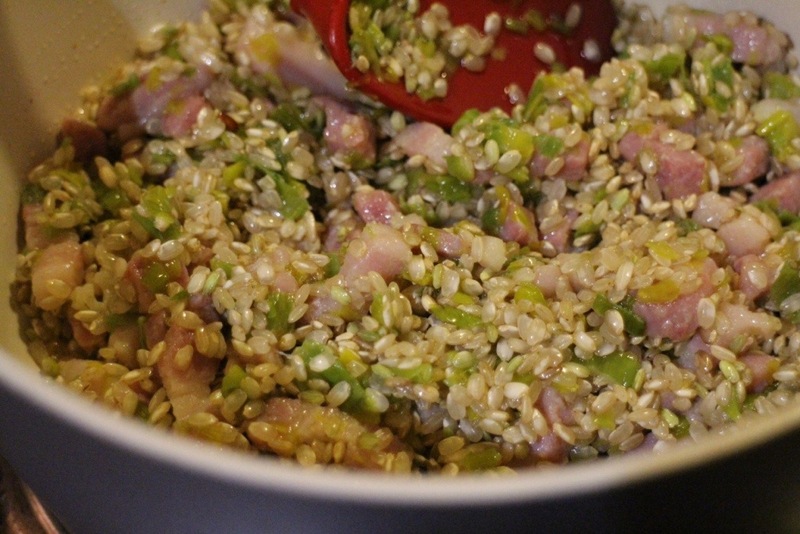 millet – in a delicious, crunchy topping for yoghurt and brown rice – which I’ve used for a darn tasty risotto. It all started with ‘Wholegrain Mornings’ by Megan Gordon just the bestest ever Breakfast book! It totally inspires me to try new (to me) grains. 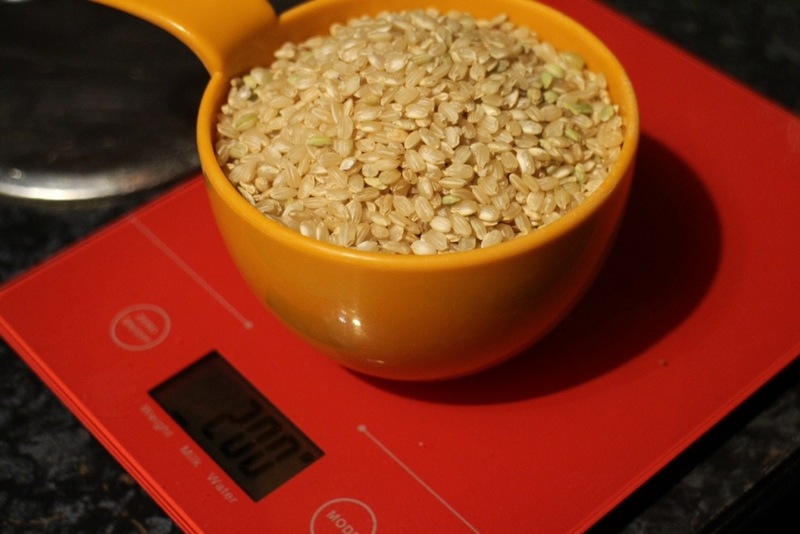 There seems to be a little debate as to what farro actually is, but from what I’ve read it appears to be an ancient form of wheat grain, which can also include spelt, depending on the size of the grain. Spelt being the largest grain. 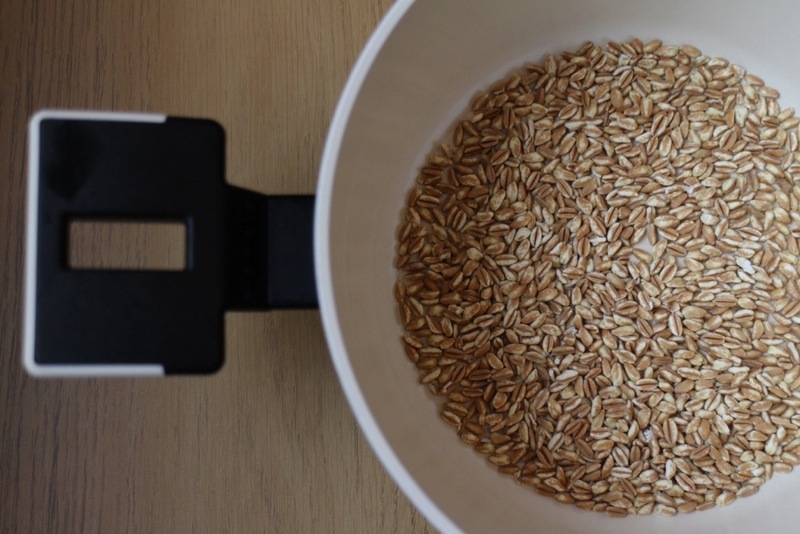 The type of farro I have is called ‘semi perlato’ or semi-pearled, which means it contains, some, but not all of its bran and nutrients. You’ll just have to buy the book for the exact recipe. I don’t think the author would be too happy with me if I shared recipe after recipe of hers, however amazing I think they are! Now, isn’t this just really pretty? Originally made with quinoa, I subbed millet, which made for a really crunchy yoghurt topper, sweetened with maple syrup and with added sesame seeds and almonds. It’s just so good! Just make sure you check your teeth before leaving the house. Now to the risotto. 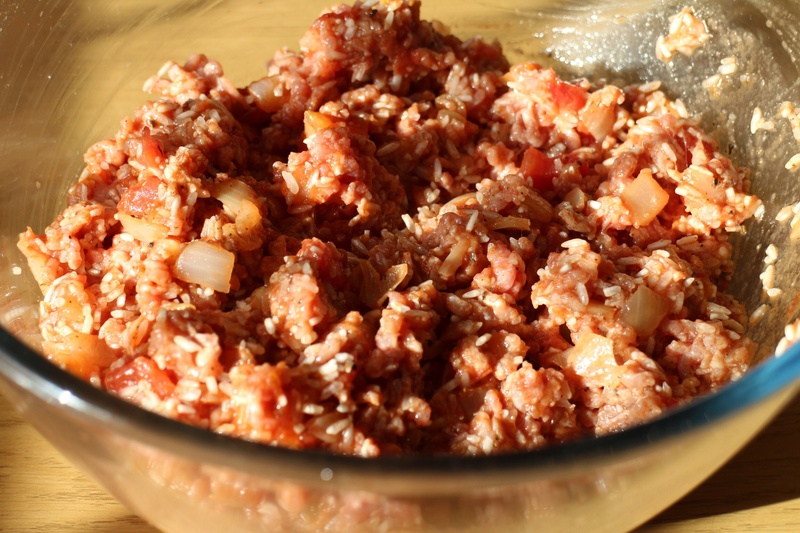 Made with short-grained brown rice. 1. 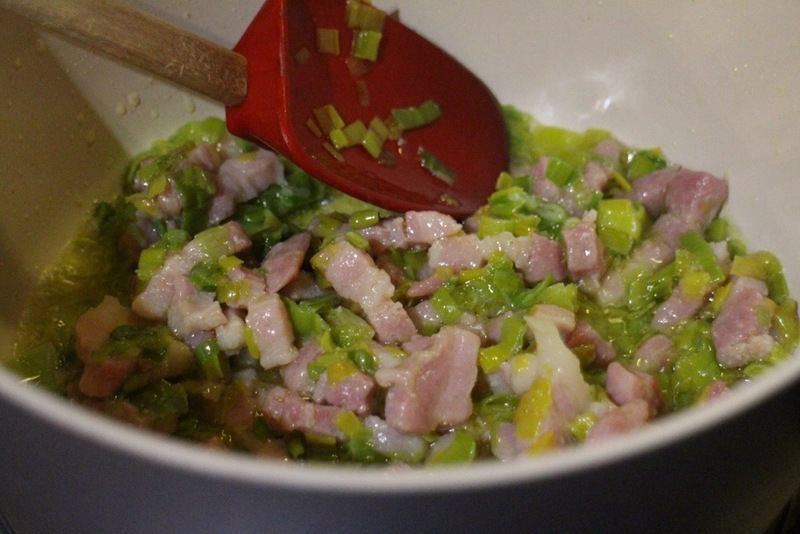 Fry the leek and lardons in the butter until lightly browned. 2. Add the rice, stir around a couple of times until it’s glistening in the buttery juices. 3. Add the wine, let it bubble away for a minute or two for the strong alcohol aroma to evaporate. 4. 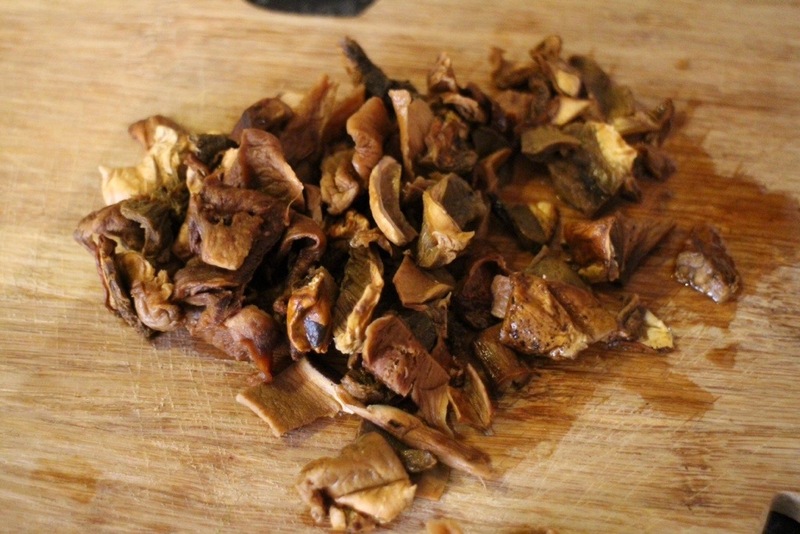 Now for the leap of faith – be brave – trust me – add ALL the chicken stock. bring to a boil, turn heat down to low- medium and let it simmer for 50-55 minutes, it needs this long to cook, it really does. 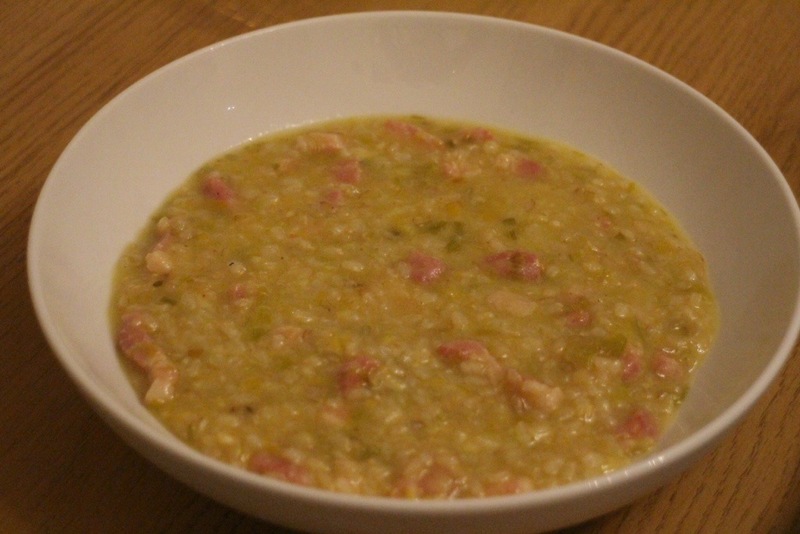 Give the risotto an occasional, languorous stir…. 6. Turn off the heat, add the cheese, and give it a couple of stirs. You shouldn’t need any seasoning – what with the bacon and cheese, which are both salty, but do check. 7. Give it a couple of minutes to settle – serve, and above all enjoy! I promise you, hand on heart, there is no difference at all, between risotto made this way and risotto made in the ‘proper’ way with the stock added a little at a time while being stirred constantly. 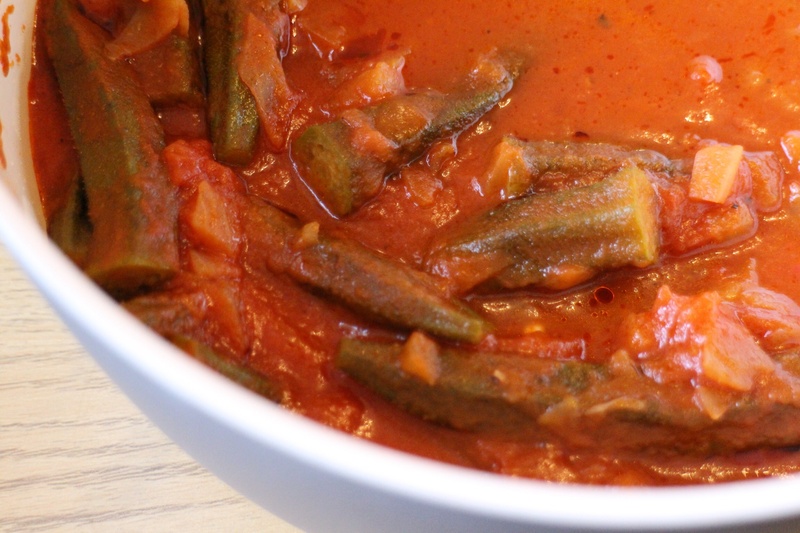 Cypriot Stuffed Peppers and Okra Yiahni. These two Cypriot dishes came about being made together to form our Evening meal, by a rather fortuitous trip round my favourite ‘Waitrose’ today. 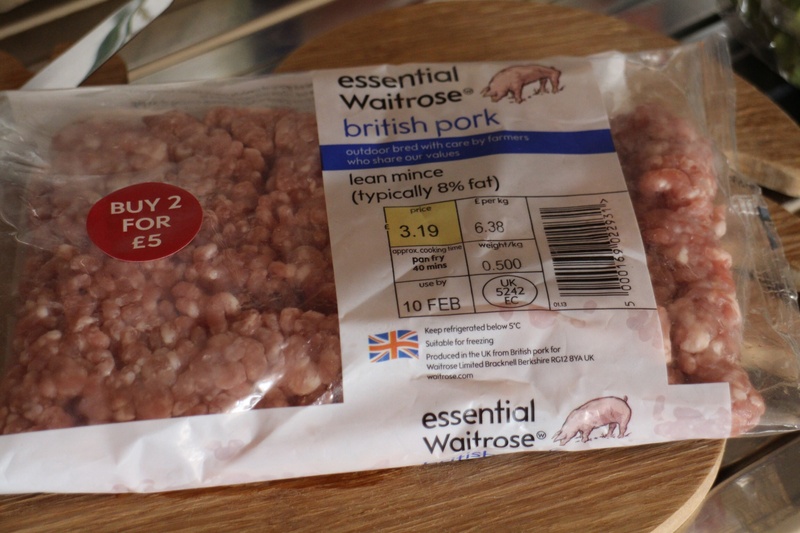 I love Waitrose! And everything is so much nicer when the sun shines, isn’t it? Makes you happy just to be! 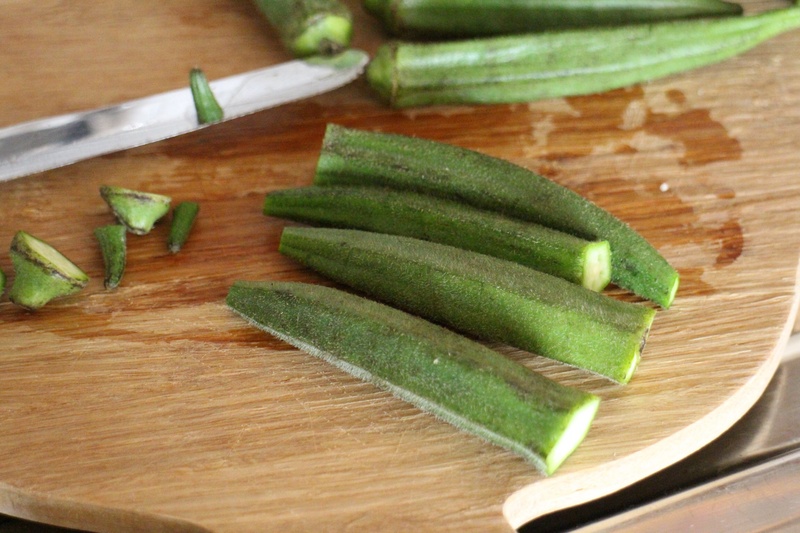 Now, I know okra’s a bit like marmite. Love or Hate. No in between camp! 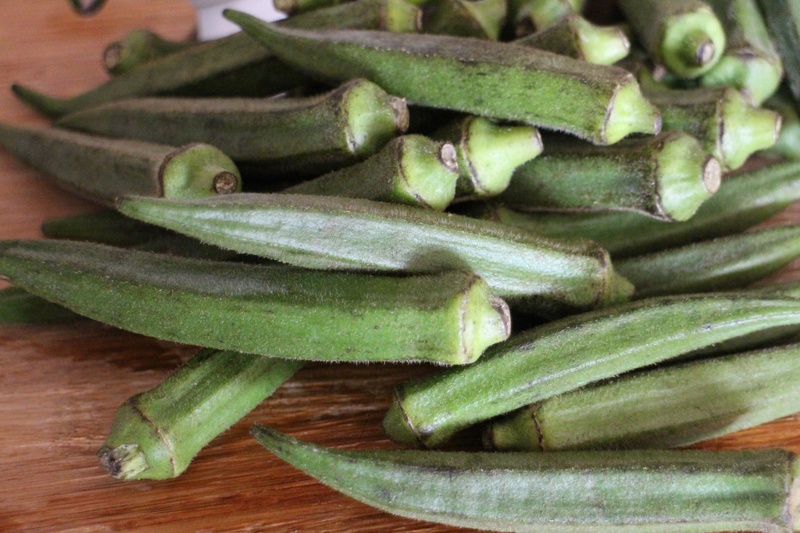 And it can be a little gloopy, especially when simmered in a stew, but here we want to embrace the okra’s ability to somehow magically ‘thicken’ the sauce, all on it’s lonesome. 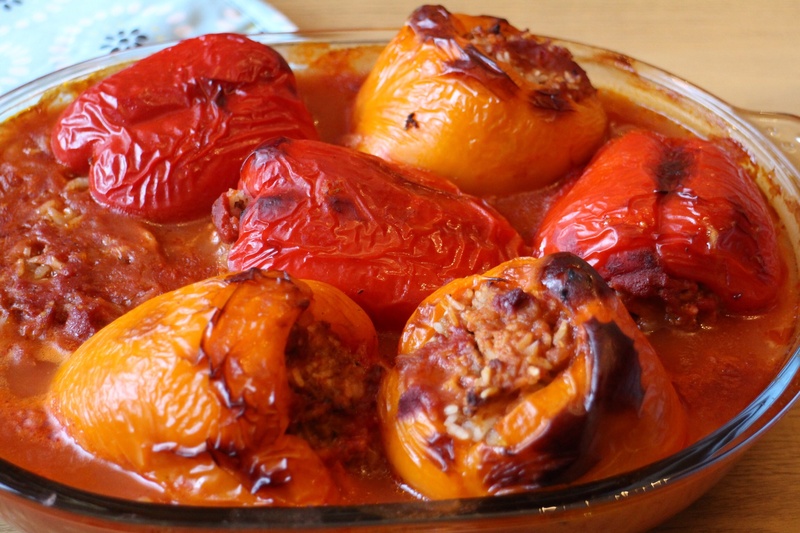 But first let’s make the Cypriot stuffed peppers together shall we? A lovely, filling family meal. first we need 6 beautiful, colourful peppers, with the tops and seeds removed. Brown 2 chopped onions in about 2 tbsp vegetable oil, until nicely browned. Use this mixture to stuff the peppers. Any remaining mixture can simply be placed in the same pan as the peppers, to the side. Pour about 400g Passata over the peppers (or another 400g tin of chopped tomatoes) pour boiling water into the pan, until it comes half-way up the peppers, into the peppers too, this will help with the rice cooking. Cover with foil and cook at 180 deg C (160 deg C Fan oven) for about 1hr 10 minutes. Uncover for the last half an hour or so, to allow the peppers to brown and burnish. 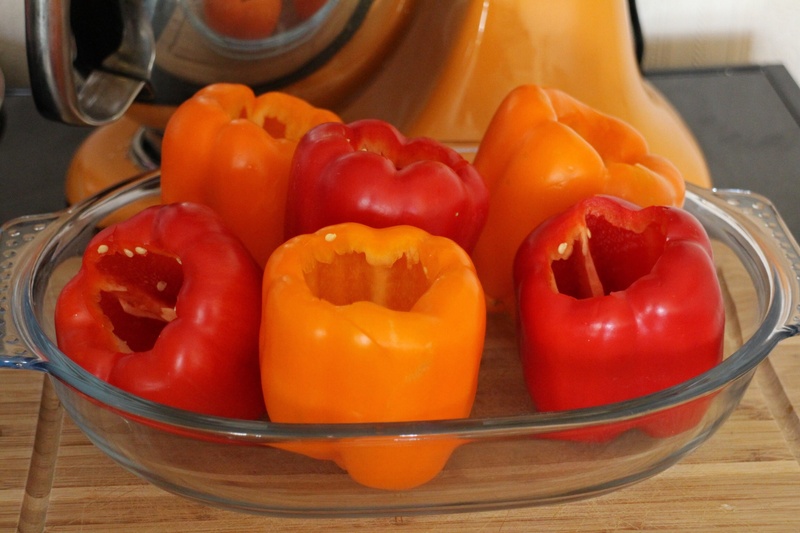 You may need to turn up the temperature towards the end if the peppers haven’t browned. I know it looks as though the peppers are swimming in liquid, but the rice continues sucking this up even after they’ve finished cooking, I had hardly any liquid left by the time the family ate. A true Cypriot peasant dish, great for a meat-free day, you can add potatoes to this dish which have been cut into 1 inch cubes and fried until golden. 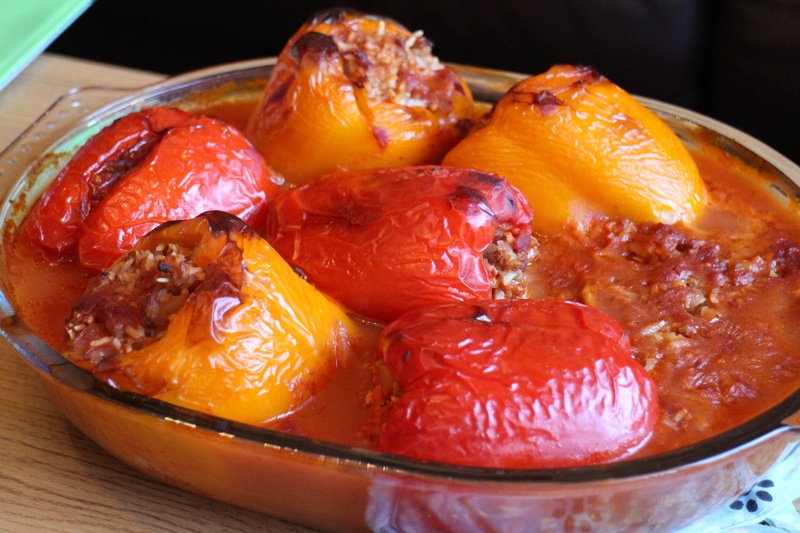 Start off in the same way as the stuffed peppers, by frying 2 chopped onions in a little oil until golden brown. one and a half cups of water, salt and pepper to taste. Add about 1 tbsp of lemon juice or vinegar to counteract the richness of the dish. 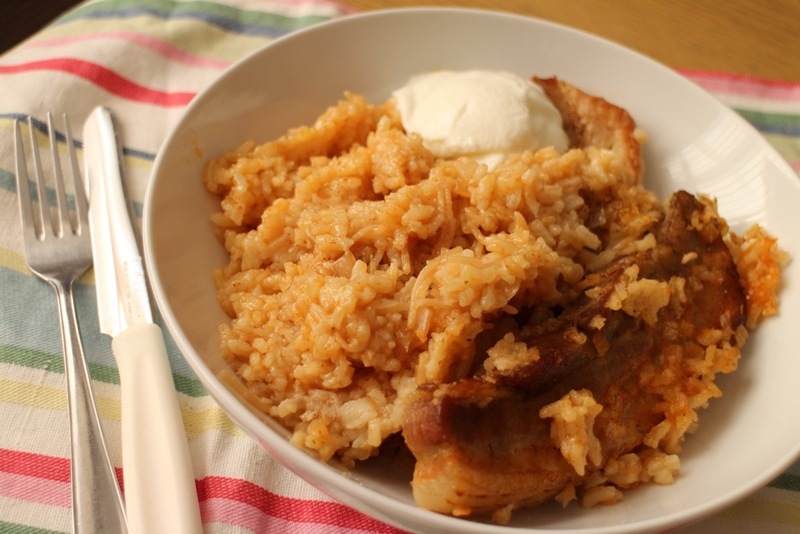 If the reason for me having this food blog is to enable my sons and daughters and their sons and daughters to have a family collection of recipes to refer back to, then we really must have a basic recipe for cooking rice well. I know it’s not glamorous, or fun, but there really is an art to cooking rice well. I mean, who likes gluey, gummy, gloopy rice? 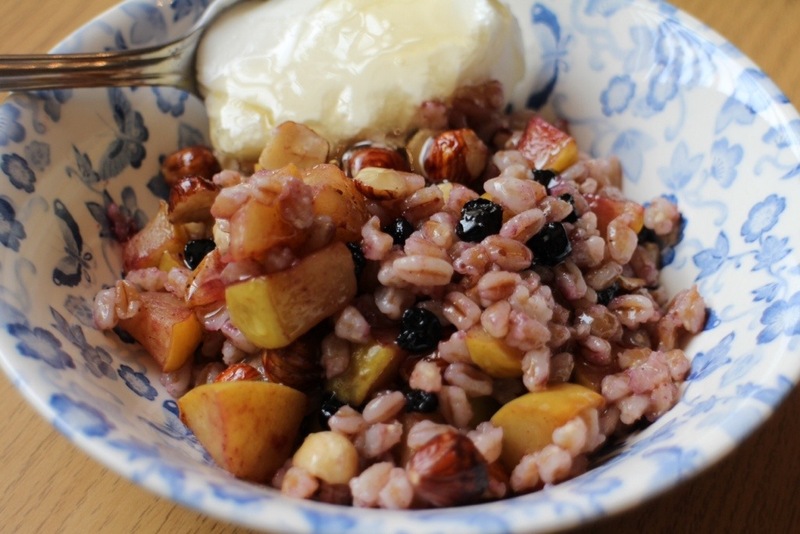 It’s all about individual grains, perfectly cooked. And while we’re talking rice, my children, just one word for you to remember. I’ve recently taken to cooking rice in the microwave, experimenting each time with the amount of water needed. I now know that the perfect ratio for my 850 watt microwave, is 1 cup of rice, to 1 1/4 cups of water. Therefore if you are cooking rice for 4, you will need 2 cups of rice and 2 1/2 cups of water. I know this doesn’t sound like enough water, but for some reason, the water doesn’t evaporate as much as if you are cooking rice on the hob. So, wash the rice well! I’m saying this because I remember Yiayia saying that Basmati rice should be washed 7 times. Don’t worry too much though, you know me, I have lazy days and I’m assuming you will too. Just place the rice in a large sieve if you prefer, place it under running water and keep swishing the rice about with your fingers until the water runs clear. 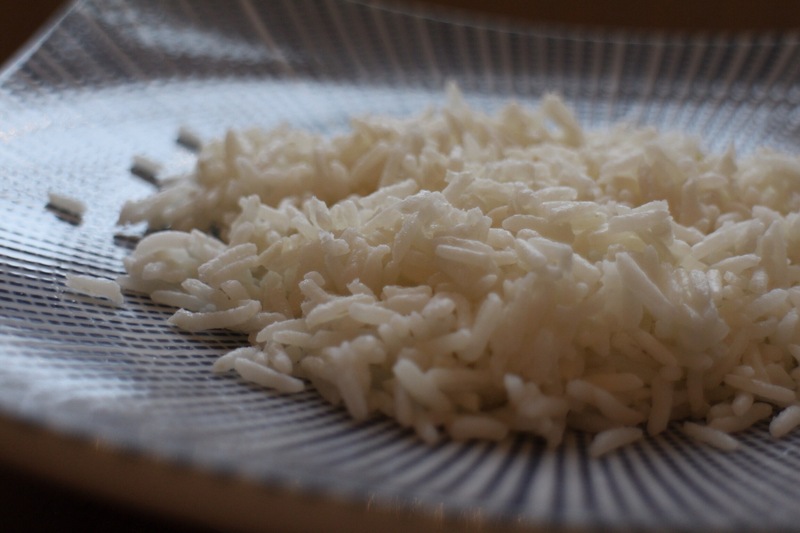 Place the rice in a large bowl, add the water and a pinch of salt and cover with a plate. Cook on full power for 12 minutes. When the 12 minutes are up, don’t move the rice, don’t peep, or open the microwave door. Just leave it alone for at least the next 10 minutes. And there you go, you should now have perfectly cooked rice. Put the rice in a bowl and wash well. Pour 2 pints fresh water over the rice and let it soak for half an hour. Combine the rice, salt and water in a heavy bottomed pan, bring to a boil, cover with the lid, turn heat to very, very low and cook for 20 minutes. 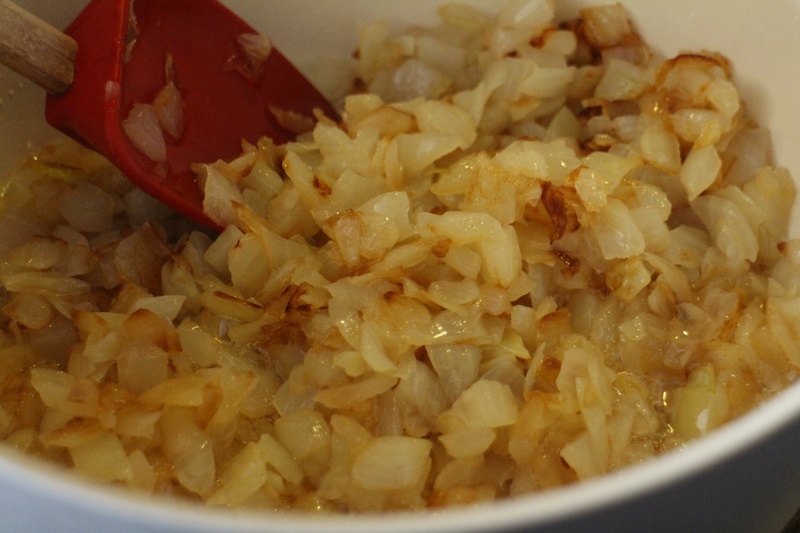 Lift the lid, quickly mix lightly with a fork, cover again and cook for a further 5-10 minutes until tender. Take off the heat and leave undisturbed for 10 minutes. Again, you should now have perfectly cooked rice. Oh, by the way, sons and daughters of mine – avgolemoni soup is better made with plain long grain rice. Not Basmati. This is the only exception. Trust me.